The egg pizza as I call it is an Italian dish , it’s the “put whatever you have around” dish. 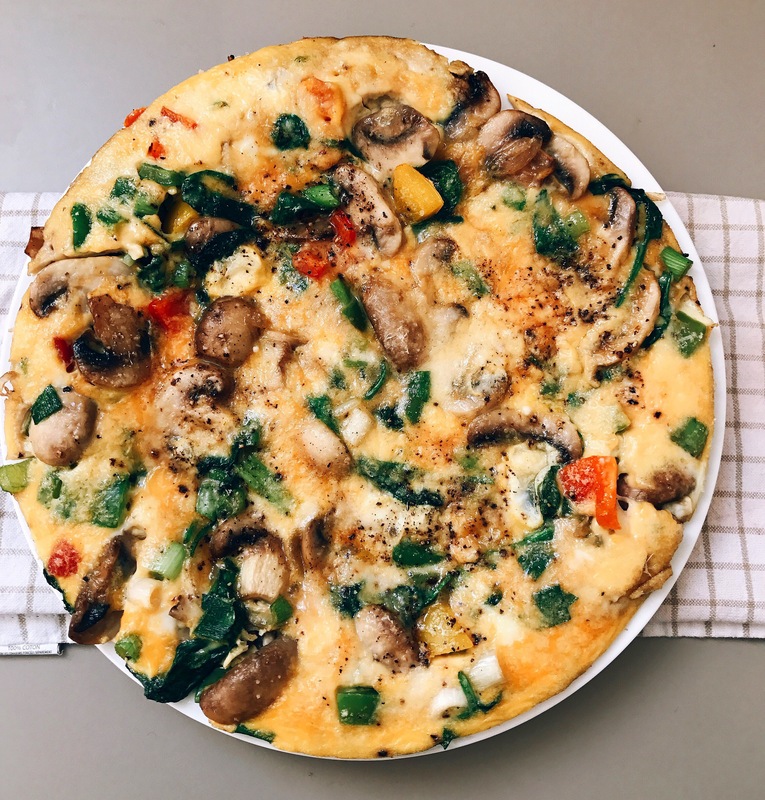 There are different ways to prepare your frittata, like I said it’s really whatever you have left in your fridge, you can have it as a breakfast or brunch. Whisk eggs, water, salt and pepper in a medium bowl and set aside. Pour in olive oil into a non stick skillet, heat on medium heat and add filling ingredients and cook. 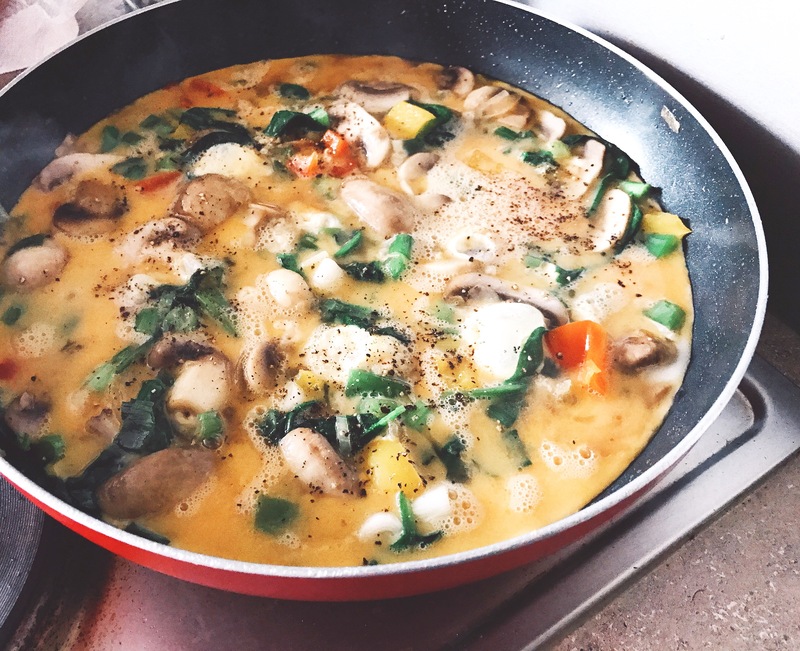 I used mushrooms, spinach, peppers, springonions, and onions. Pour in egg mixture, use a spatula to lift cooked portion of the egg to allow uncooked egg flow underneath. Cook until bottom is set and the top is almost . Previous Post Stuffed plantain Boats.